High contrast picture in black and white, abstract non objective photography. On black background white lines vortex. Surrealistic picture: all the elements together. Fire, water, earth and air. Dream landscape with wide depth of field. A stonebridge brings to a vortex with a dream landscape beyond with fort, sea and colored shining sky making an escape route from the fire storm on foreground. Fine art photography. 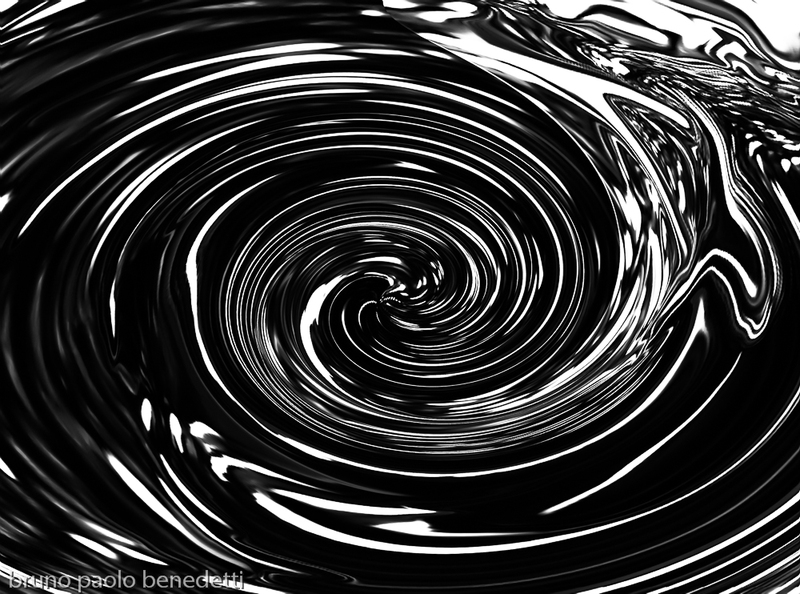 Stream of fluid light shapes swirling on bright black background. Fine art photography, surrealistic landscape. Night view over land and sea from a tower on colored bright sky.